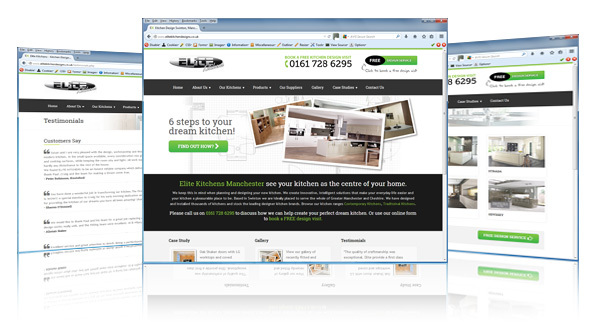 PT Designs website design | Elite Kitchen Designs in Swinton, Manchester. Elite Kitchen Designs was established in 1998 and has traded successfully from its office and workshop in Swinton during that period. Elite. manufactures all its own kitchen units which gives complete control over quality and delivery ensuring that the units are ready when we want them and any issues can be resolved without having to refer back to a third party. Manufacturing our own units also gives us the ability to build non-standard units when needed for example when boxing in boilers.